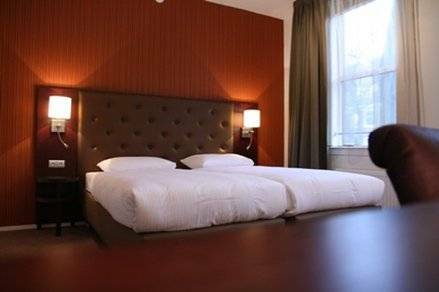 Hampshire Hotel Beethoven is a comfortable and convenient hotel in the prestigious Beethovenstraat, named in 1925 after the german componer Ludwig van Beethoven. The hotel offers 52 hotelrooms. The central location, easy public transport, nice neighbourhood and nearby facilities like shops and restaurants make this hotel an ideal choice for tourists as well as business travellers. Hampshire Hotel Beethoven is centrally located in Amsterdam, on one of the nicest shopping streets in the popular neigbourhood Oud-Zuid. This area represents elegance, style and service. Shoppers will find exclusive fashion, wonderful gifts and delicacies, as well as typical neighbourhood stores. The local restaurants offer a variety of international cuisine. 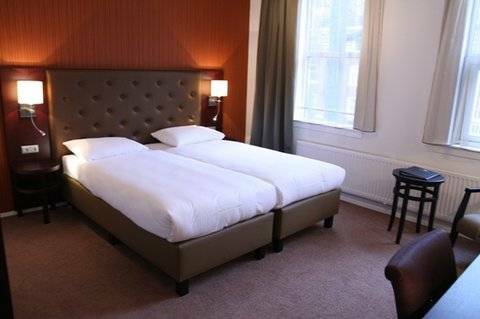 STANDARD - ROOM - The hotel has single, twin and double rooms. Most 2 person rooms are with twin beds, some rooms with double bed. All rooms have a shower/ bath, toilet, flatscreen TV, hairdryer, airco, wireless internet connection at extra charges, additional tv channels at extra charges, coffee and Tea facilities.